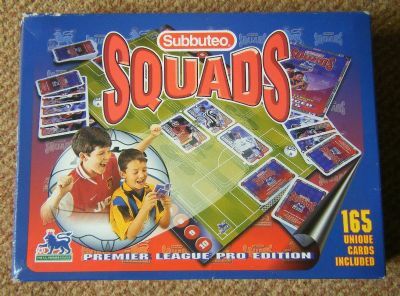 A large scale, well backed card collectable based game produced by Subbuteo that totally and utterly failed to take off. It has the perfect range of ingredients - huge range of cards, several categories and many update releases but it is just not collected by anyone. Seems strange, but maybe its time will come in the future. 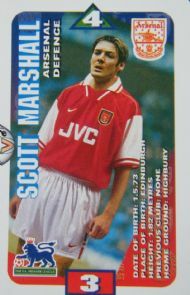 Absolutely never heard of this player either so they must have used the full squad lists. Very bright and colourful box showing the game and the rabid excitement that can be achieved when you come across a rare card! 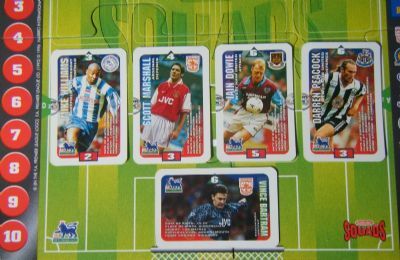 Boxed set 100% complete card set with checklist. 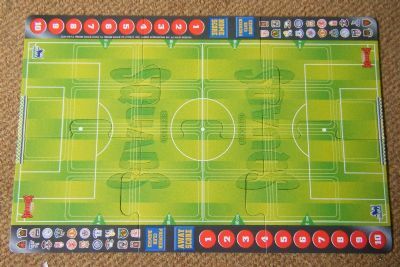 The pitch is a large card design made from jigsaw pieces with space to put your team formation down. 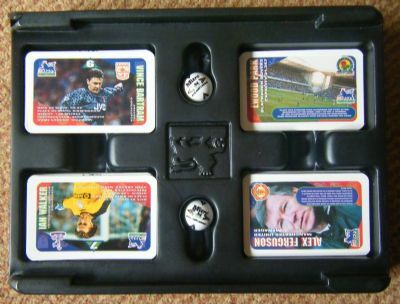 The game contains 165 player and incident cards plus manager cards, ground cards and incident cards. The markers are half Subbuteo balls which is a neat idea. Each player has individual attributes and ratings with 165 to collect.